Williams Lake, B.C. 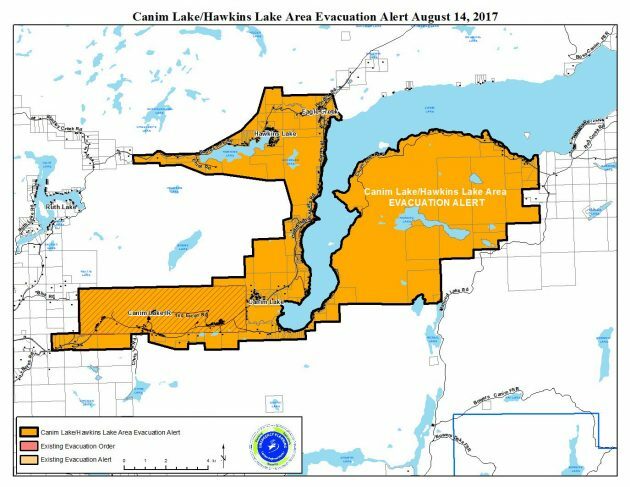 – The Cariboo Regional District has downgraded the evacuation order for the Canim Lake area. The Cariboo Regional District and Canim Lake Indian Band have announced that residents are allowed to return to the Canim Lake and Hawkins Lake areas. Due to successful firefighting efforts in the area, the wildfire threat has been reduced which means residents can return home, however, they will remain under an evacuation alert. Before deciding to return, residents are encouraged to consider that wildfire activity continues in these areas, air quality remains poor and the areas are still on evacuation alert.